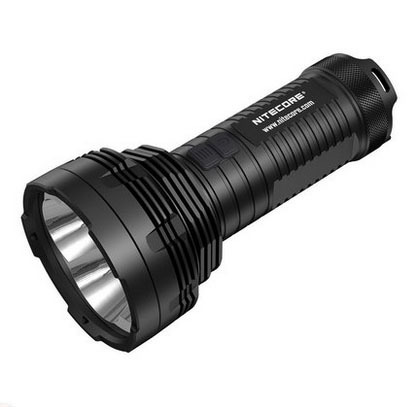 This aluminium alloy flashlight 4000 Lumen,700M Beam Distance and 122,500cd is 5 lighting modes 3 special modes of Strobe/SOS/Location Beacon. Perfect for industrial, law enforcement, search, gear, hunting, photography, hiking, climbing and other outdoor activities. 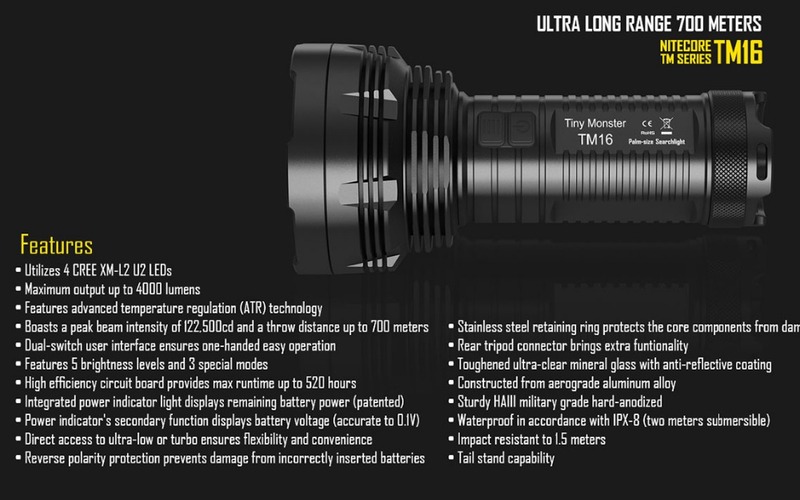 Utilizes 4 XM-L2 U2 LEDs, Maximum output up to 4000 lumens. 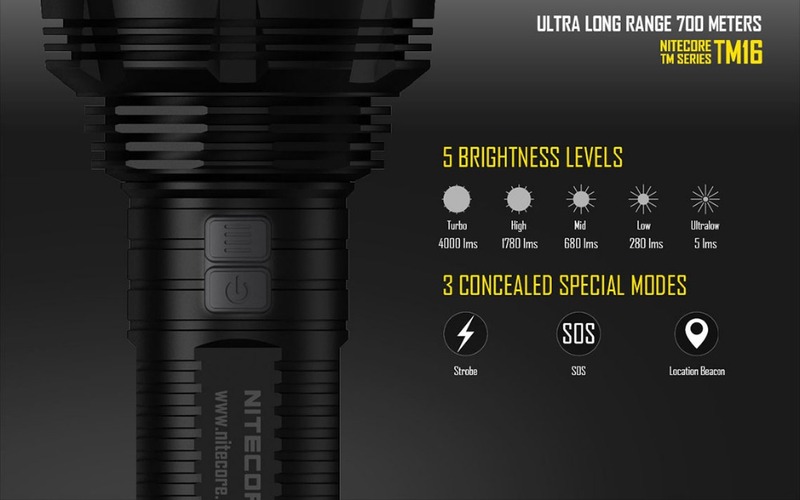 5 brightness levels (Turbo/High/Mid/Low/Ultralow) and 3 special modes (Strobe/SOS/Location Beacon). Boasts a peak beam intensity of 122,500cd and Max Beam Distance up to 700 meters. High efficiency circuit board provides max runtime up to 520 hours. Dual-switch user interface ensures one-handed easy operation. Direct access to ultra-low or turbo ensures flexibility and convenience. SMO Reflector, Beam color of Neutral white, White light, Impact resistant to 1.5 meters. Power indicator’s secondary function displays battery voltage (accurate to 0.1V). With a 1/4″ screw hole Rear tripod connector brings extra function. 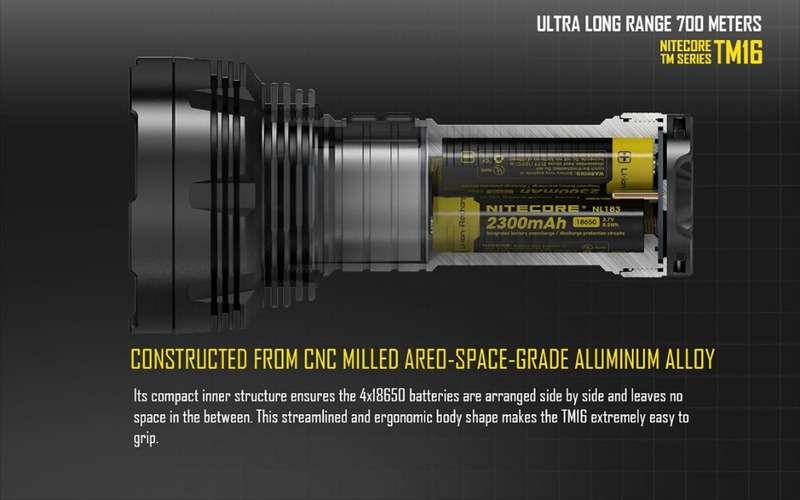 Constructed from aluminum alloy and stainless steel retaining ring protects the core components from damage. 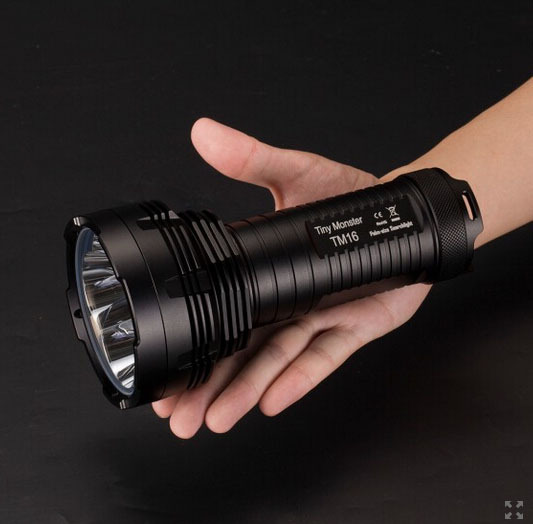 Make flashlight be your best choice for industrial, law enforcement, search, gear, hunting, photography, hiking, climbing and other outdoor activities. Do not use the RCR123 or CR123 batteries for it may damage the flashlight. Don’t let the light of flashlight to directly shine animal or people’s eyes. If the flashlight is stored or transmitted for a long time, please take out the batteries.